If you are a fan of combat sports you don’t have to wait for the big show to come to town to see a great live event. There is much more to combat sports than the bright lights of the UFC with local events often producing exciting action and great entertainment. To this end, I am proud to have my law firm involved as a corporate sponsor of the Hurricane Fight League which will be hosting an action packed card of kickboxing this Friday, May 31 in Esquimalt’s Archie Browning Arena. The card is stacked kicking off at 6:30 and finishing strong with two ISKA World Title Fights. 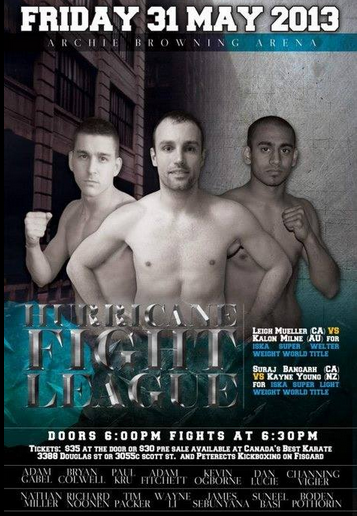 If you are in the greater Victoria area stop by for a great night of fights!